Lidar is a surveying method that measures distance to a target by illuminating that target with a pulsed laser light. The reflected pulses are measured by a sensor. It works in a similar way to radar, except light waves are used instead of sound waves. Differences in laser return times and wavelengths can then be used to make digital 3D-representations of the target. In the UK the Environment Agency has made a huge database of lidar scans, and these are available freely. The bad news is that the scanning was done for flood management purposes - so any where not deemed part of a chain leading to flood risk wasn't surveyed. In addition they move the pages around, so be prepared to search. At the time of writing, these are two direct links but they may change in a year or so's time. 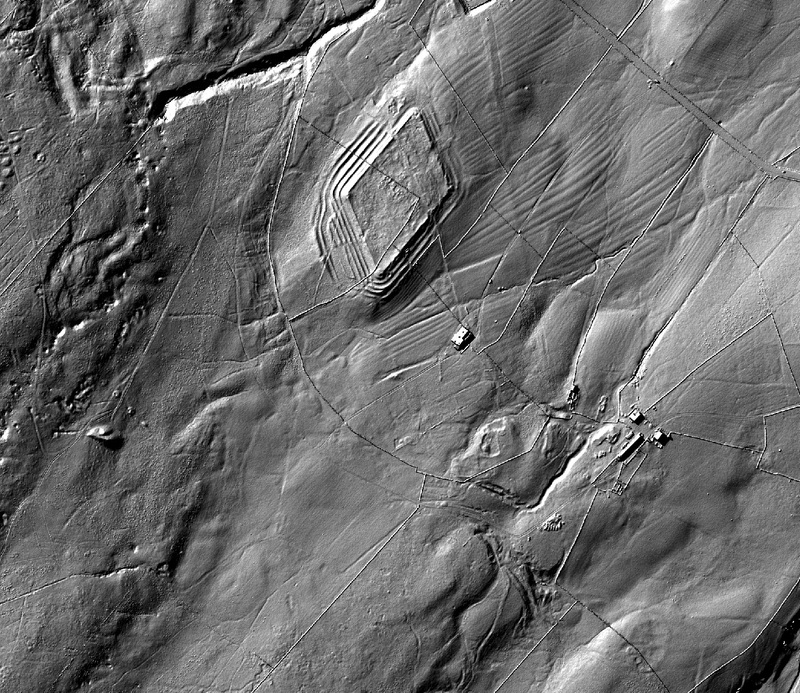 On the Epiacum project website, there's an excellent example of a community archaeology project, where bespoke lidar scanning has been used to get an overview of the complex landscape surrounding the Roman fort at Whitley Castle near Alston.